Why Use Video Sales Letters? In this tutorial, we look at incorporating video marketing into your content marketing mix, including video sales letters and promo videos. Videos are an effective way to market and promote your business, get your information out to audiences, and drive people to your website or blog. What is your video going to be about? Who is your video going to target? What points do you need to make in the video? What visual elements will you use to convey your video message? What do you want your audience to do after watching your video? Knowing what your video is going to be about and which audience your content is aimed at will help you stay focused during the recording process. Just like creating an article or post, your video needs an engaging video title and you will need to do some content planning to make sure that the video covers all of the points you need to make and that these are delivered in a logical way that will not confuse or lose your audience. These videos don’t need high value productions or complicated editing. You can basically create these types of videos using Powerpoint slides with narration added, or record yourself navigating around your screen. Creating marketing videos is no longer as complicated as it used to be. 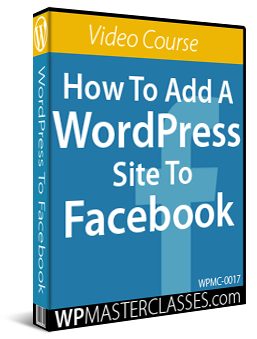 There are now excellent tools that let you create videos quickly, easily, and inexpensively without using high-end video recording equipment or requiring professional video editing skills. Video-sharing sites like YouTube are filled with videos shot using mobile phones. You can use your phone to shoot live footage and then integrate your live footage with screencast recordings or animated slides. For example, let’s say that you run a local trade service like roof repairs. You can easily record “before” and “after” videos of your services using a mobile phone to show the work you’ve done and upload your videos to YouTube. Or, if you plan to create video tutorials or training videos on how to use a particular software program, you can simply record your screen using screen capture software. If you use WordPress, you can create a post of your latest project and drop in a video to help your readers understand what you’re describing and see the results of your work. All this can be done for little to no cost with basic video recording and editing tools like a smartphone or screen capture software and a presentation tool like MS PowerPoint (windows users) or Keynote (mac users). Once your video has been created, produced, and uploaded to your website or to a video-sharing site (e.g. YouTube, Vimeo, Metacafe, Facebook, etc. ), the next step is to get your videos seen and shared online. 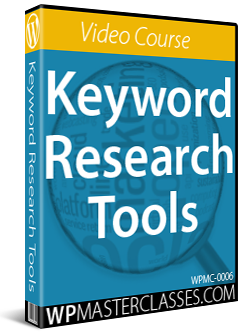 You can get your videos seen by hundreds or thousands of people on your website or on video sharing sites by learning how to research keywords, optimize video titles, descriptions, tags, etc., and analyze what your competition is doing to rank better and attract more viewers. Fortunately, there are tools and resources that can help you not only create videos but also get them seen by more people online. We cover these further below. A video sales letter in its simplest form is just text on a screen with audio and is designed purely to sell your audience a product or service. Unless your sales pitch is riveting, it can be a little boring for viewers. To create a more effective video sales letter, consider creating a narrated video recording of your sales presentation using screen capture software like Camtasia Studio and a slide presentation, and spend a little time making your slide presentation more engaging using animated text, images (e.g. product shots), etc. Video sales letters often convert better than standard sales letters, even if you use the same basic sales copy and techniques! Why? Because it’s a lot more personal when people can hear your voice and maybe even see your face. And there are many other reasons. Even if you don’t want to appear on camera, just hearing a voice actor can make a huge difference. 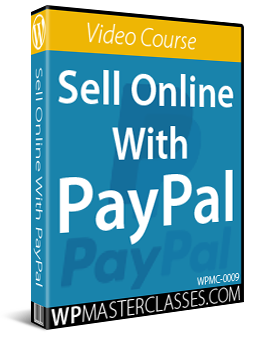 So let’s find out how you can get started with your own video sales letters! Video sales letters are popular because they can often convert better than traditional sales letters. Video Sales Letters are more interesting and can hold the viewer’s attention longer than text. They are easier to trust because you can hear and possibly see the product creator. People who watch an entire video presentation are much more likely to spend money than those who can’t or won’t. Some people prefer to “skim” a sales letter and don’t have the patience to sit through a video. People on slow internet connections may not be able to watch the video even if they want to. Videos use more bandwidth, so you need to make sure that your server can handle the additional load if you get a lot of traffic. Video truly converts, and if you’re not using video sales letters, you are missing out on potential sales. You can always have an alternate sales letter for people who leave your page without watching the video. Just set it up to open if they click the back button or close the window. 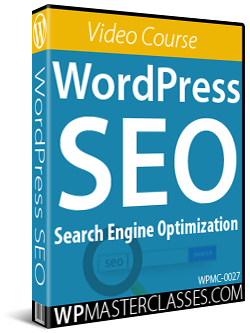 Video can also work well on squeeze pages, so if you have been having trouble getting people to opt into your email list, you might try a short video on your squeeze page. Here are some things you can do to make sure that your video sales letters are engaging to viewers and the best they can be. 1. Grab Attention – Just like your headline, you need to make sure the first few moments of your sales video grab attention. Use appealing text, great music, and interesting imagery. 2. Be Brief – A video sales letter is generally most effective at between 10 and 25 minutes. 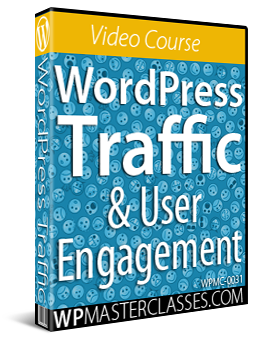 Sometimes longer videos are necessary and effective, but most people will lose interest if you go beyond this range. So, keep your video to a reasonable length, but also long enough to say everything you need to say. 3. Solve a Problem – As in a normal sales letter, your video should focus on at least one problem your product can solve and present that clearly. 4. Stay Positive – You may have some negative things you need to focus on, but the overall tone of your video needs to be uplifting. 5. Use Auto-Play – I’m sure you’ve heard people talk about how much they hate auto-play. Yes, there are people who truly detest it. But the fact is, it works. Whatever your personal feelings are about it, you should consider using it because you’ll see results. If in doubt, test your video sales letters with and without auto-play. 6. Don’t Show Video Controls – Another proven fact of video sales letters is that you shouldn’t show the video controls. Don’t make it so people can click ahead or go back. Don’t make it so they can pause it. Just keep the controls off. Once again, if in doubt, test your video sales letters with and without showing video controls. 7. Use Music Carefully – Music can be a great tool in video sales letters, but it should be used carefully and judiciously. Be sure that music isn’t playing in the background when you’re speaking, because it could distract from your message. There are some features that can really make a difference to the effectiveness of your video sales letters. These elements should be included in every video sales presentation you create. First of all, you should be sure your video has a headline. This should be in the video itself, in the script, and possibly on the web page itself beside or above the video. As with regular sales letters, the headline is perhaps the most important element of all, so be sure it’s a good one. Earlier, we touched on the importance of presenting how your product solves a particular problem (or problems.) It’s a good idea to focus on one main problem, but you could present a few other smaller problems, too. Be sure you really stick that problem in front of the viewer’s nose in a way they can’t escape from. You can do this by mentioning the problem repeatedly in different ways, and even presenting various scenarios that might happen if they don’t solve the problem. Make sure your product is presented as the solution to that problem. Love it or hate it, scarcity works. Be sure to let people know they won’t be able to get your offer for long. Either the product will be taken off the market, or the price will go up, but let them know that they must act right away. Tell the viewer what you want them to do. Don’t expect them to read your mind! Do you want them to buy? Then tell them to hit the BUY NOW button. Do you want them to opt-in to your newsletter? Then tell them to enter their name and email address and hit SUBMIT. Whatever you want them to do, TELL THEM! As with any type of sales letter, a solid guarantee can help close the sale. Let people know that if they aren’t happy with their purchase, they can get their money back with no hassle. Graphics can be an important element in a traditional text sales letter, but they can be extremely distracting on a video sales page. 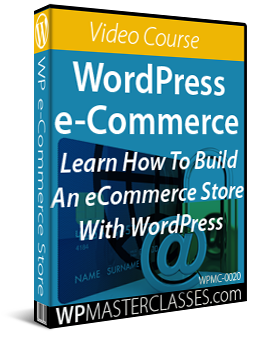 Generally speaking, graphics should be used very sparingly on video sales pages. If you don’t know how to make sales letters, you’ll either need to learn to do it, or hire someone to do it for you. The best option, of course, would be to learn to do it yourself. Not only is that the least expensive option, but your videos will almost always perform better with that personal touch. Sure, you can have someone else create the video for you, but it is so much better if you can put your own personal touch in the video and inject your personality into it in the same way you inject your personality into your product. There are some things you will need if you’re going to make your own videos. 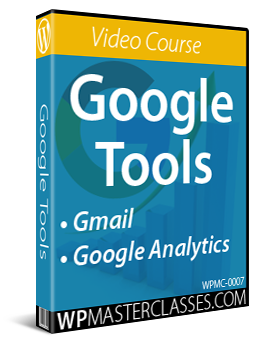 These tools (software and hardware) will make life a lot easier for you if you intend to make your own videos. The first thing you’ll need is a room with good acoustics. Otherwise, you’re likely to get a terrible echo, or it will sound like you’re speaking in a tunnel. Ideally, you’ll want to film in a small room filled with plush furniture (like sofas and beds) that can absorb a lot of the sound reverberations. You don’t need to invest in an expensive video camera. Even a good camera phone will do. (Most high-end cellphones have a decent video camera built in.) Just be sure the video and sound quality are acceptable. Of course, you won’t need this if you’re going to do a screen grab type video. But if you’re going to appear on camera yourself, or have an actor do it, you’ll need a decent camera. If you’re going to be on camera, you need to be sure the lighting in the room is good enough to ensure your features are well lit and there are no harsh shadows. If you’re using a video camera with a decent built-in microphone, you probably don’t need to worry about this. However, if you’re doing a screen grab style video, or one that focuses on images and slides, you’ll need a good microphone to record your voice. At the very least, you should hire someone to do the voiceover if you don’t want to use your own voice. Videos with voice outperform those that don’t by a wide margin. There are many good video creation software packages to choose from. We cover these in the section below. 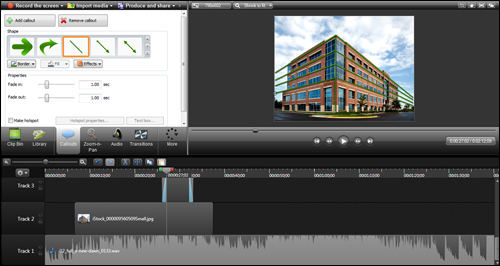 If you need to create professional screen capture videos, you can look at using a software tool like Camtasia Studio. Camtasia is the leading screen capture video creation tool on the market. It lets you record on-screen activity, customize and edit content, add interactive elements, import media and create high-quality videos in a range of formats and sizes. Doodly is a simple and user-friendly drag and drop video creator. 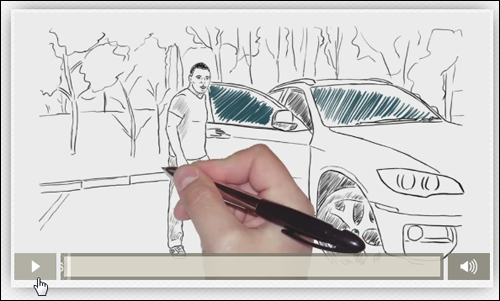 This powerful and professional doodle video software lets you create both whiteboard and blackboard videos with ease. you can use hundreds of built-in characters, props, images, fonts, and sounds, or upload your own images, fonts, and sounds, then export and share your videos in multiple formats and quality levels. 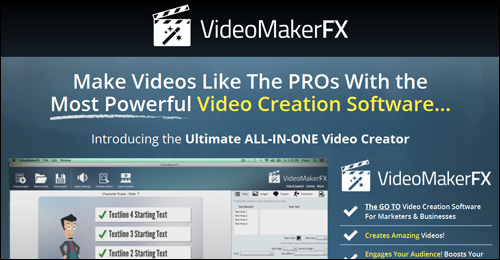 VideoMakerFX lets you create professional animated sales videos, presentations, explainers, logo openers, photo slideshows, and more. EasySketchPro lets you creates amazing doodle sketch videos quickly and easily from your desktop, including turning photos and videos into hand sketched doodles. Explaindio Video Creator lets you create HD videos with animation, whiteboard hand-drawn sketch videos, combine text overlays and images with videos and more in one very easy-to-use program. Motion Objects provides copy and paste animated objects that work with all of the video creation tools above. If you want to create simple video sales letters with just text on a screen and audio, then consider using this video sales letter creation tool. 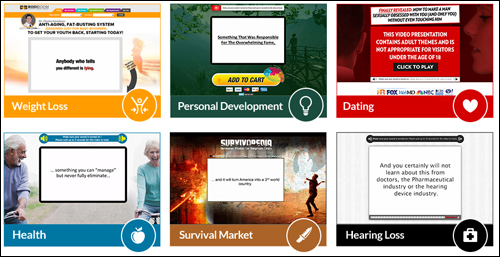 EasyVSL is designed to create very simple PowerPoint-like sales presentations, but it makes the entire process of creating video sales letters much faster and more efficient. You just choose the font and design of your text from several options included, then type or paste your script into the software and click inside the text to define each new slide. You can then edit your slides and sync your audio narration track to the video, choose a video quality setting for the output and EasyVSL will then encode your video in MP4 format, and your video is then ready to be uploaded to YouTube. 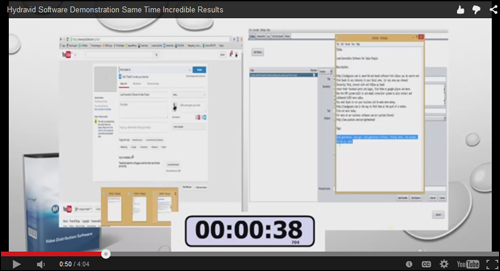 EasyVSL lets you create simple video sales letters very quickly and without any video editing skills required. What do you do if you don’t know the first thing about creating a video sales letter and absolutely hate the thought of even trying to do it yourself? You’ll have to outsource it, of course. Outsourcing can be effective, but just remember that you will lose your special, unique voice, and no one but you will understand your product the way you do. For this reason, it’s critical that you work hand-in-hand with your video creator in order to develop a script that really showcases your product the way you would. If you decide to outsource the creation, be sure you check out samples the person has done to ensure they are capable of creating the kind of video you want, and make sure you have the basics of your script ready. You can do your video submissions manually one at a time, or use a software tool to submit your videos to multiple sites with just a couple of mouse clicks, like the Hydravid Video Distribution tool. Hydravid is a desktop application that lets you submit your videos to multiple sites simultaneously, including different accounts on the same video-sharing sites, and even upload different unique versions of your videos. 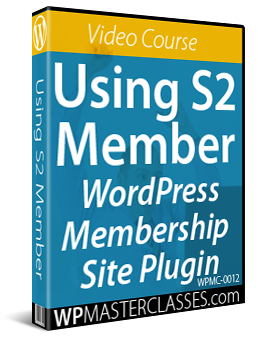 The software also offers an upgrade module that lets you automate the distribution of your videos on a monthly basis. Videos are one of the most effective and popular methods to create and distribute content online. There is also a lot of competition to get videos ranked in sought-after niches and seen by thousands of online users. It’s important, therefore, to learn not only how to create videos that will effectively help you promote your message, but also how to rank these well in search engines and video-sharing sites using the right content in your video title, descriptions, tags, etc. 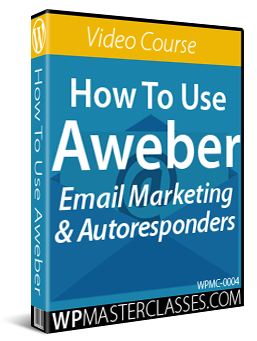 It can be daunting trying to learn how to make video sales letters, especially if you’re relatively new to internet marketing in general, but if you can learn to do them, or pay someone else to do them for you, it’s likely you will find that your product converts better than you ever thought it could. It’s been proven time and time again that video converts. Nothing says you can’t have a backup text sales page, too. But, in general — and depending on your target market, video can often convert better. If you can’t create your own videos, outsourcing them can be remarkably affordable. But remember to work carefully with the creator in order to be sure as much of your unique voice is preserved as possible. Don’t let fear or concerns prevent you from learning how to create and market your own videos. It’s fun, and a lot easier than you probably think! 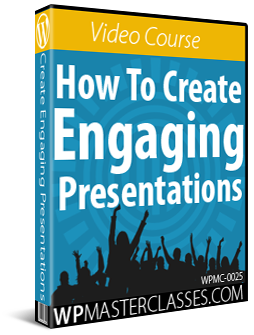 Begin scripting your video presentation using a tool like PowerPoint or Keynote, or just start with sentences on a plain text file. Congratulations! Now you know how to create simple video sales letters and video promos for your products and services.